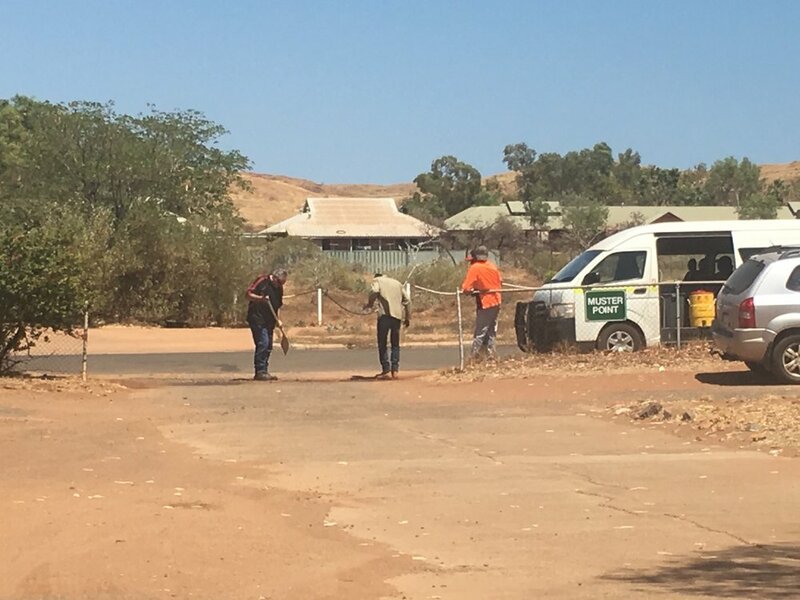 Visitors to the Roebourne Resource Centre are now assured of a smoother ride thanks to work done on the entrance driveway by REFAP’s Community Pride participants. The driveway was in poor condition with many holes and uneven sections that had developed over years of frequent use. REFAP’s Community Pride supervisor, Wayne Breen noticed the need for repairs and realised an opportunity for the participants to help. At no cost to the Resource Centre, the team applied filling and compacted it in to remove the holes and improve the driveway’s functionality and aesthetics. The Resource Centre manager, Beth Smith is grateful for the assistance and pleased with the results. The Roebourne Resource Centre is a not-for-profit organisation that is independently owned and operated by the local community. It provides access to government and community services and information, and undertakes community, business and economic development activities. REFAP also occupies two of the buildings in this space, for the RSAS (Remote School Attendance Strategy) Program, and the Lead the Way activity.